In a promising new pilot program, short-range unmanned aircraft systems are rapidly changing the way Coast Guard units do their work. 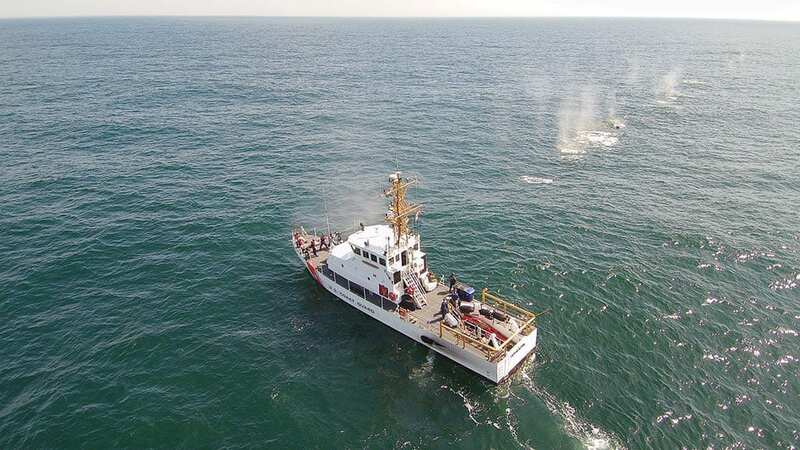 On June 17, 2018, not long after the 990-foot cargo vessel American Spirit, fully loaded with iron ore, grounded in Duluth Harbor, Minnesota, Coast Guard Marine Safety Unit (MSU) Duluth had learned nobody had been injured. But an important question remained: Did the harbor have a pollution incident on its hands? Within a half-hour of the grounding, Chief Scott Lenz of Station Duluth’s Aids to Navigation Team had left his son’s baseball game and was on his way back to the harbor. In a phone call with his sector command, he learned the nearest Coast Guard Air Station, in Traverse City, Michigan – 342 miles away, by air – was preparing to dispatch a helicopter and crew to survey the harbor for signs of pollution. According to Lt. Cmdr. Ryan Lampe, who manages the short-range UAS program for the Coast Guard’s Office of Aviation Forces, the use of small drones for routine survey and inspection work isn’t all that groundbreaking in itself. The systems are pretty simple, actually: remote-controlled aircraft outfitted with digital cameras. And yet, Lampe said, he doesn’t remember the last time the Coast Guard was this excited about a new development.